I am rural...I live in a rural community...in a rural part of Oregon. I can be really rural with just a short drive, actually---gravel and mud roads, farm fields, cattle, etc., etc. Our community's cemetery is just a little over a mile from town, and it's a place I often go when I need to find something to photograph. 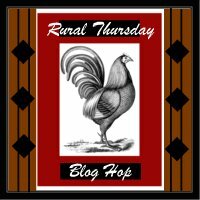 For my Rural Thursday blog hop choice, I drove to the cemetery. It was 43 degrees,but when I got out of my car, the wind was whipping. It was cold! I really needed to lie down or at least sit at the base of the tree to photograph upwards. It just wasn't going to happen! I love the bare trees without their leaves. I know what you mean by not wanting to lie down on the ground to be able to photograph upwards from below! i like the starkness of this. Brrrr - you were smart not to bother laying down! Cemeteries contain good photo subjects. I like the bare tree branches. Love your photos! Photogrpahy is one of my hobbies, but I don't get to do as much as I would like. Thanks for stopping by Green Acres! In spite of not wanting to lie down, you sure found a nice perspective. Trees are one of my favorite subjects for photographs, I love the perspective of this shot. 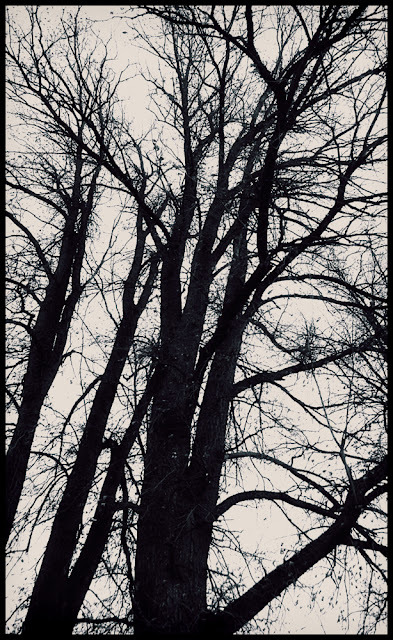 So much character in bare trees. Love this. Love this silhouette. I never tire of looking at trees, I find them beautiful whatever the season.